Today’s Your Last Chance to Get a Big Green Egg at Demo Prices!!! 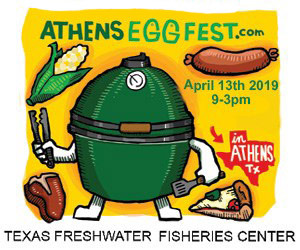 The 2019 Athens Eggfest was a TREMENDOUS success! Our Title Host, Morrison Supply graciously extended their offer to discount your purchase of a Big Green Egg through midnight April 15th – TONIGHT! This is your last chance to take advantage of the following sale prices before these Big Green Eggs are priced back at 100% retail. If you’ve never experienced food prepared on a Big Green Egg, this is the perfect opportunity for you! Three sizes are offered for your consideration . . . The price reflected is BEFORE any applicable sales tax. Because the event has concluded, all purchasers must accept delivery of these Big Green Eggs at the Morrison Supply location in Longview, Texas, unless other arrangements are made directly with Morrison. To purchase your Big Green Egg, click on the BUY A DEMO tab at the top of this page.